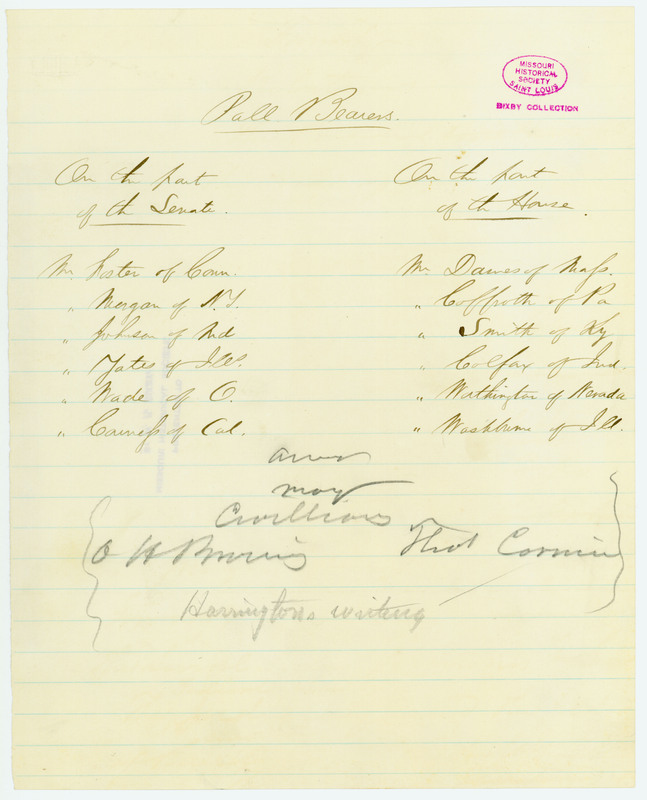 A list of the pallbearers for Lincoln's funeral, divided into those of the Senate and those of the House. Mr. Foster of Conn._Mr. Davis of Mass. Yates of Ill.________Colfax of Ind. Conness of Cal.____Washburn of Ill.